Competitive archery is an excellent way to see where your shooting ability ranks against your peers. There are many different routes an archer can go for competitive archery. A 3D archery course is made up of a certain number lifelike foam targets. Each target has scoring rings that vary in value. The 3D course is an unknow yardage course in which shooters have to shoot from different colored stakes. Archers (excluding handicapped shooters) must stand with one foot touching their class’s shooting stake while shooting at the 3D target. After the shooter, or group of shooters, have shot their arrow(s), they retrieve their arrow and record their score(s). After the course is completed, the scores are turned in by the shooters to determine a winner. Different shooting associations have different rules. Before shooting a 3D tournament, research which set of rules the host is using. Field archery tournaments are held on courses that often wind through woodlands and other types of terrain. Field archery courses have marked yardages and black and white bullseye style targets instead of 3D animals. The ranges of a field archery event vary from 20 feet to 60 yards and can be on an incline or decline. 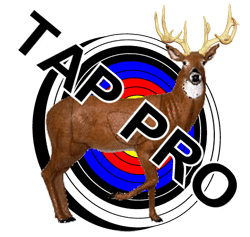 In a typical NFAA (National Field Archery Association) event, there are 28 targets. The 28 targets can be consecutive or a group of 14 targets which get shot twice. Four arrows are shot at each target for a total of 112 arrows. Each target has scoring rings with a maximum score of 5 points. The maximum score for a field archery event is 560 points. There are variations of field archery rounds which include a “hunter” round and an “animal” round. For more information on the variations, visit the our field archery page. Indoor archery events are normally categorized as a 300 round or a Vegas round. In both events, archers shoot paper faced bullseye style targets at 20 yards or 18.2 meters. With both styles of indoor archery, a single bullseye target is referred to as a “spot”. In a 300 round, archers will shoot a total of 60 arrows at either a single spot target or a 5 spot target. Both 300 round targets or spots are dark blue and white and have a maximum of 5 points. Each spot also includes a small “X” ring at its center. The X ring is used for tie breaking. The maximum score of a 300 round is 300 points with 60 X’s. A Vegas round consists of 30 total shots. The targets, which are either one spot or three spot, have a maximum point value of 10 points per spot. There is also an “X” ring in the center of a Vegas round target which is used as a tiebreaker. In a Vegas round, there is a maximum score of 300 points with 30 X’s. When scoring either the 300 round or the Vegas round, your arrow must break the line or be within the ring of the score you record. The are many different archery organizations in existence that set rules and host events. Some of these organizations specialize in only one style of competition, while others cover multiple styles. 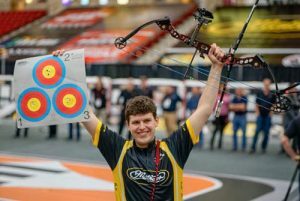 The following is a list of some of the most popular archery organizations involved with competitive archery today. The ASA is an association which has chapters in 30 states as well as a national Pro/Am circuit. ASA events are 3D archery events. 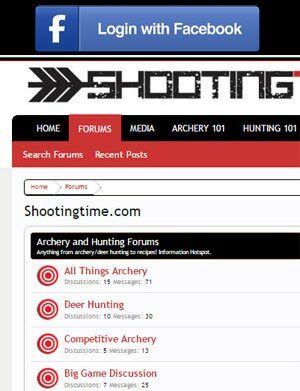 For more information, visit our Archery Shooters Association page. The NFAA is one of the world’s largest archery organizations and has charter clubs in 49 US states. The NFAA is involved with many styles of competitive archery. For more information on the NFAA and its tournaments, visit our National Field Archers Association page. World Archery is the governing body of archery worldwide. They govern and set rules for many elite archery competitions including the Olympic Games. For more, visit our World Archery page.